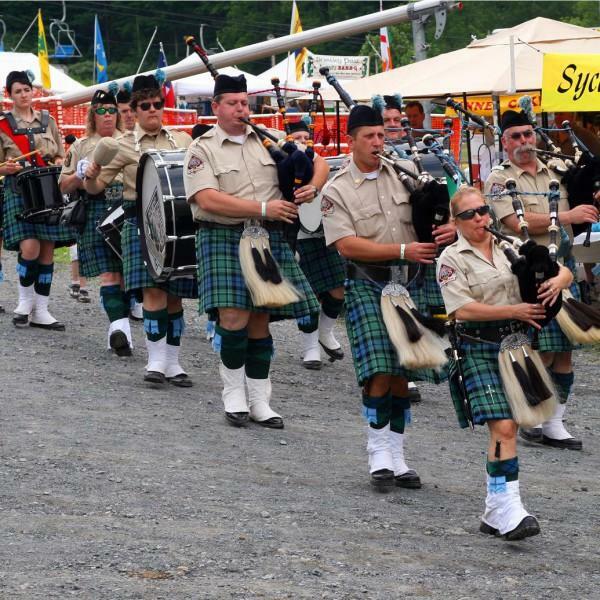 BUSHKILL, PA (Spring 2017) - Stay at The Villas at Fernwood Resort and experience the Shawnee Celtic Festival on Memorial Day weekend May 26-28, 2017 with two days of music, dance, crafts, and food as the Scottish and Irish return to Shawnee Mountain Ski Area in the Poconos. The Villas and Fernwood are offering special festival accommodation packages which include two nights of villa accommodations and four tickets to the festival starting from $218 per night. Gina Bertucci, spokesperson for The Villas and Fernwood Resort, said, "This is one of Shawnee Mountain's signature festivals and appeals to anyone who loves everything Celtic." Non-stop Celtic Music will be featured on two stages. The weekend kicks off with a Bagpiper’s Parade and fiery fiddles. Additional entertainment includes Scottish and Irish dancers, working sheep dogs, a Celtic Wizard and a Scottish Juggler. There’ll also be a variety of Irish and Scottish craft and gift vendors, Celtic food vendors, and beverage stations. The Villas and Fernwood Resort is a 400-acre four-season resort located in the heart of the Pocono Mountains. In addition to indoor and outdoor pools, there are outdoor attractions including Pocono TreeVentures 66-element aerial ropes course, Pocono Zip Racer dual 1,000-ft racing zip lines, Pocono KidVentures children’s ropes courses, Pocono Zip Quest hybrid zip line course, Blue Lightning Tubing all-season tubing park in the Pocono Mountains, golf on its 18 hole par 71 course, horseback riding, live entertainment at Wintergreens Patio Grill, a video game area, daily scheduled activities, trips to nearby attractions including The Crossings Premium Outlets and Bushkill Falls, massage, a fitness center, bumper boats, hiking in the nearby Delaware Water Gap National Recreation Area, canoeing on the Delaware River, gaming at Mt. Airy Casino, and paintball. Bertucci concludes, "There are plenty of things to do at the resort with the option of many Pocono attractions nearby that add wonderful experiences to your vacation. Make a weekend of it. Attend the festival then return to The Villas to relax, take a swim, have a massage or play a round of golf." To reserve your Shawnee Celtic Festival weekend getaway package, call the Fernwood Reservations staff at 888-337-6966 or go to FernwoodResortPoconos.com for a complete selection of specials. Fernwood is located on Route 209 in Bushkill, PA just minutes from Shawnee Mountain.